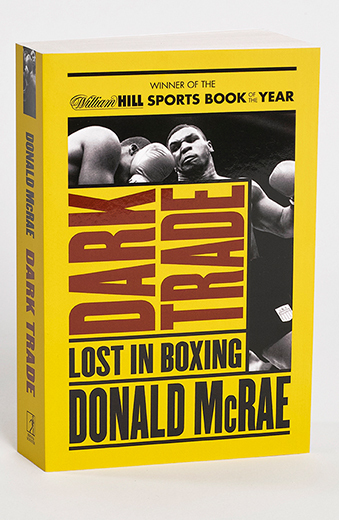 The main fighters featured in Dark Trade are Mike Tyson, James Toney, Oscar de la Hoya, Roy Jones Jr, Chris Eubank, Michael Watson and Naseem Hamed. The first four are, obviously, American. Three are black and one, De La Hoya, is Hispanic. The last three boxers in that list are British. I wanted to try and reflect how different life outside the ring was for fighters from two contrasting countries. And so the book moves from Los Angeles to London and Sheffield to Las Vegas as I follow my chosen fighters. Some of them are rivals – for Toney, Jones, Eubank and Watson fought alongside or against each other in the middleweight and super-middleweight divisions. But they are united by the enduring themes and surreal business of the fight game. They also share an honesty and openness about their doubts and fears, their delusions of lunacy and more profound insights, their fathers and families. Great old trainers and promoters, managers and hucksters, also appear. But the focus is on the men who fight for a living. I have rarely felt more alive than in those vivid and intense moments when I have sat with a fighter in the last few hours and even minutes before he steps into the ring. It was in such moments that their humanity poured out and I could see beyond the bluster and the millions of dollars for which they often fought. I cared about what happened to them and hoped that they would not end up damaged and ruined forever.